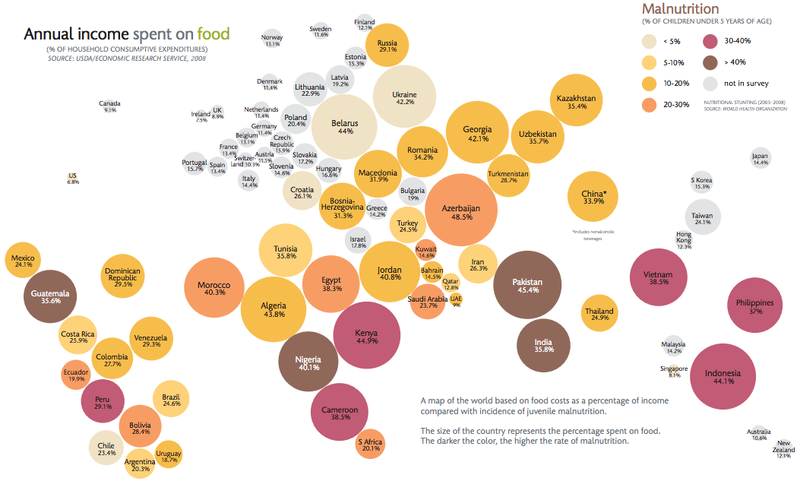 The amount of money people spend on food around the world varies massively, even more so when you take a look at what percentage of a person’s average wage is spent on food shopping. This is exactly what the Economic Research Service at the US Department of Agriculture has been researching, publishing their findings in a series of maps that visualise the data. 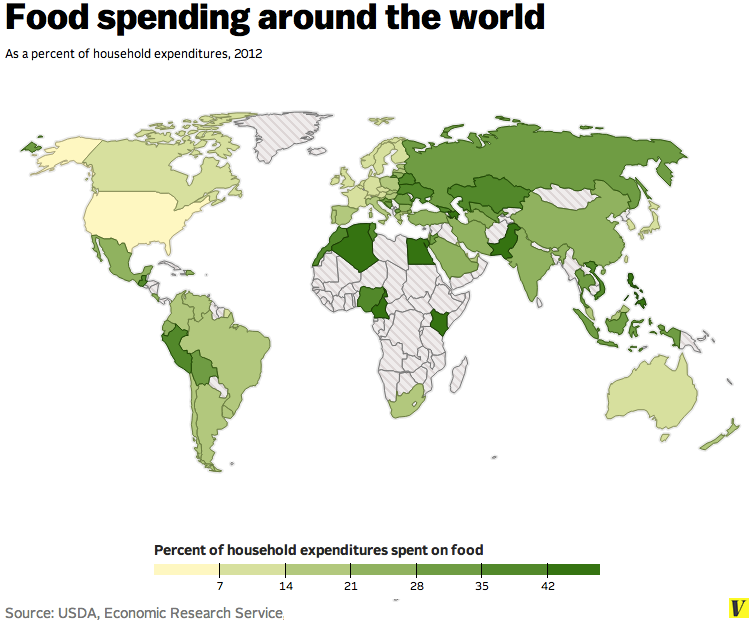 The first map breaks the world down into seven categories depending on what percentage of household expenditure goes towards food. The second graph breaks this info down further offering specific percentages for each country, while the third looks at the info above and compares that with cases of child malnutrition in the corresponding countries. 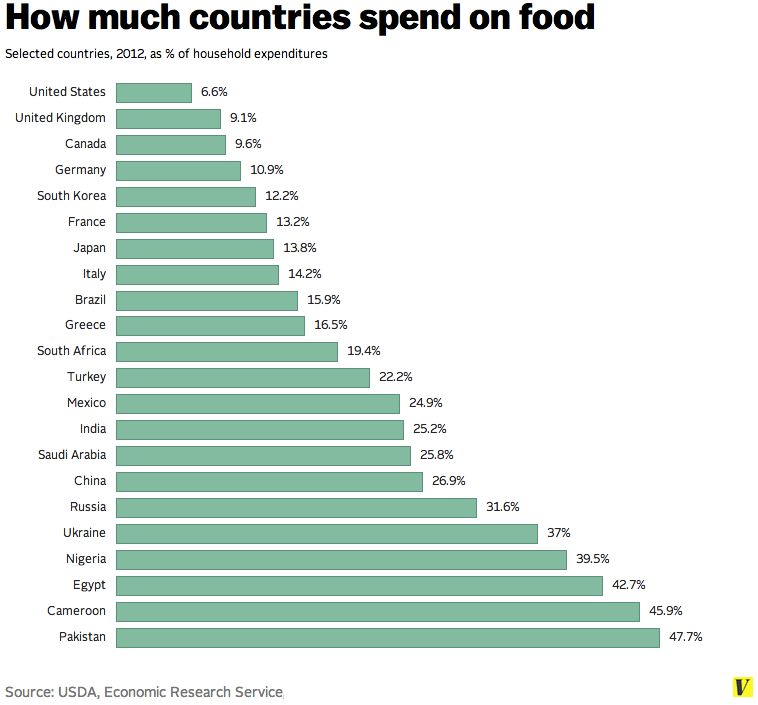 It's an interesting set of data that when presented in this way really highlights the disparity in how people feed themselves all over the globe.